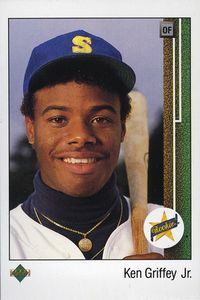 I'm the 1989 Upper Deck Ken Griffey Jr. rookie card and I was supposed to have made you rich by now. Well, maybe not rich, but I was going to cover your child's college tuition or a down payment on your home or, at the very least, a sweet convertible. You knew the stories about the 1952 Topps Mickey Mantle card, how much it and other old cards were worth and how valuable baseball cards were to nostalgia-crazed collectors. You didn't have to be Warren Buffet to see the rich opportunity I provided. If you were looking for a guaranteed blue-chip investment, I was it. "[The Griffey card] was the first card of an Upper Deck product, and Upper Deck broke the mold on what a trading card looked like and felt like," said Tracy Hackler, publisher for Beckett Media, a leading authority on sports cards. "You had the vibrant printing, and the glossy card stock was of such better quality. It was pretty. 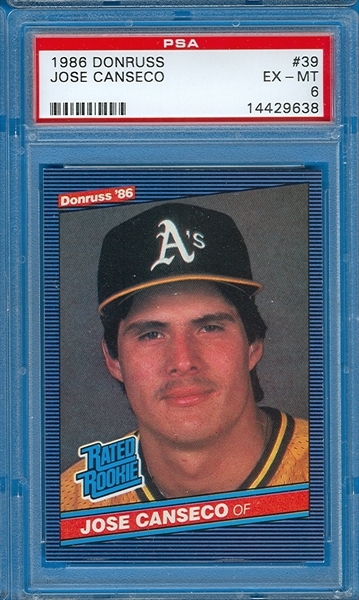 That card in particular ushered in a new era of sports cards. And it didn't hurt that the player on it was phenomenal. He had that 'Kid' smile on it and the natural All-America swing. He was at the top of his game and his card was No. 1 in a historic set." 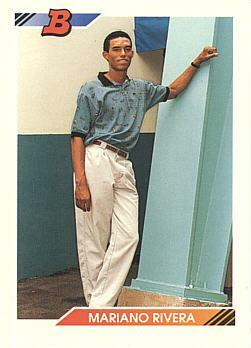 The Upper Deck Company for ESPN.com Once upon a time I was the crown jewel of your baseball card collection. I was a no-brainer. I mean, what could be a sounder investment than baseball cards? I was worth $4 one month into Griffey's career, $37 just two years later and $65 a year after that. With that rate of return, I would be worth thousands by the time he entered Cooperstown. Getting rich was a simple matter of storing enough copies of me in protective plastic sleeves suitable for the Shroud of Turin and waiting 20 years or so before cashing in. Begin with Economics 101. Thanks to the sheer number of Griffey rookie cards printed -- Hackler estimates there were at least 1 million -- and the way people carefully saved them, there is ample supply to satisfy demand. I'm currently priced at $40 in near-mint condition, and the Mill Creek Sports shop near Seattle had me on its sale table for $29 this week. Granted, there are rare copies with a condition rating of 9 to 10 (I won't bore you with card grading details) that are worth far more, but generally speaking, adjusted for inflation, I'm worth about half what I was 17 years ago. "People always talk about how their mom threw away their sports cards and that's the reason those cards are worth so much money -- there were few survivors," Hackler said. "But there were more than 1 million Griffey cards. So that it's worth $40 today is kind of remarkable because it's not hard to find. You can go online or walk into any shop and find it." Jim Caple learned a lot about appreciating the present when he dove into an unopened box of baseball cards. Then there was also the little matter of Griffey's post-Mariners career. I was worth $150 when Seattle traded Junior to Cincinnati in 2000, and Beckett has never priced me higher. As Griffey's injuries mounted, his production decreased and his chance of breaking the career home run record shrank to nothing, my value slipped dramatically. About the only way you could have made a worse investment is if you had bought up enough copies of me to build a literal house of cards in central Florida, then taken out a subprime mortgage on it three years ago. Griffey says he never considered me that big a deal anyway. I was his first big league card, but he insists I didn't excite him. "You have to understand, I grew up in baseball so it's a lot different," he said. "Inside the business, it's different. 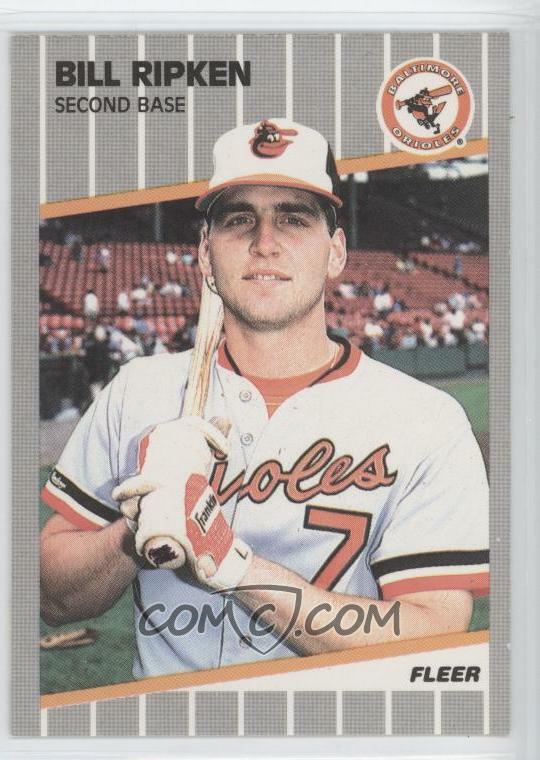 I was used to looking at bubblegum cards because they were readily available at the ballpark." Plus, he says, "Back then people collected baseball cards for the purpose of collecting your favorite player. It's different now." Actually, it was already different by the time I rolled off the presses. The whole baseball card bubble was nearing its peak, and you were more likely to walk past a card shop than a Starbucks. The 1990-91 Seattle Yellow Pages had a separate heading for baseball card dealers and it listed 26. There were 22 Starbucks. The following year, there were 28 Starbucks and 56 baseball card dealers. That was two baseball card stores for every Starbucks. This year's Seattle Yellow Pages have no separate heading for baseball card dealers, instead lumping them under sports cards dealers. There are 16, only three of which were in business in 1991. Meanwhile, there are more than 150 Starbucks. Major League Baseball signed an exclusive contract with the Topps trading card company last week. Good for Topps. • But I grew up during a time when card collecting was at its height of popularity -- and there were many brands of cards to collect: Topps, Donruss, Fleer, Upper Deck. • This robust market afforded me the opportunity to learn many important life lessons; lessons I wouldn't have learned if Topps was the only game in town. • Where would I have learned naughty words? • What would have convinced me to start shaving? • How would I have discovered wacky hijinks? • Who would have ended my unhealthy crush on Princess Leia? • What would have convinced me that Elvis still lives? As a baseball playing werewolf? • How would I have learned to dress myself with style? • Who would I have used as a model for how to appeal to the ladies? • And what would I have stolen from my grandfather's attic, sold and used the money to purchase the Caribbean island where I now live as king of a sovereign nation? Do we really want only Topps cards? What if today's generation grows up to look like this? It's not worth the risk. What was the better Seattle icon in which to invest, Junior or Starbucks? If you had invested $1,000 in me in 1992 (when I went for $65), your collection would now be worth $615. If you had put the same amount into Starbucks stock when the company went public that same year, your investment would be worth about $18,000. Mill Creek Sports, which opened in 1991, is one of the few shops to survive from those chaotic days. "What happened was those peak five years from about 1988 to 1993 flooded everything," Mill Creek's Brent Holcomb said. "Even people who didn't collect cards bought them because they thought they would make money. It was like Beanie Babies. It was a true fad. I don't think there was a specific time you could say people stopped collecting -- people just gradually dropped out." I pretty much symbolize the industry's rise and fall. That 1989 Upper Deck series was the first priced at $1 a pack, the first sealed in foil rather than waxed paper. No stiff stick of bubble gum ever stained me. I even came with anti-counterfeiting holograms. It was all very cool. And I was just the beginning. Soon card packs included autographs, bits of game-used equipment and eventually the actual hair of Babe Ruth (I'm not kidding -- the Babe's hair! 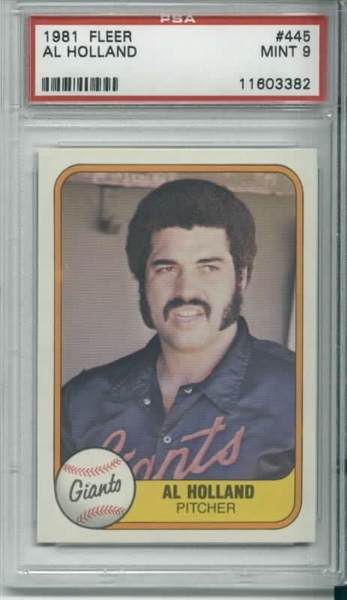 Just imagine if they had thought of that when Oscar Gamble played). Adult collectors, speculators and investors pushed kids out of the market. Now there are extremely limited edition packs priced at $500. I don't know what would be harder, paying $500 for a pack of baseball cards or explaining the credit card statement to your spouse. "What the collectors want today are cards that come out of the pack already autographed," Holcomb said. "They want a certified autograph of Mickey Mantle or Joe DiMaggio cut onto the card." "Nowadays it's not about the rookie card so much; it's about the autographs and game-used memorabilia," said Terry Melia, public relations manager for Upper Deck "People used to go out of their way to get five or 10 rookie cards of a player, thinking that would be a great investment if they had Hall of Fame potential, but that has waned tremendously in the past 20 years." The industry continues to change. Just last week, Topps regained its old major league exclusivity when MLB announced the company would be the only one allowed to produce cards with team logos next year. Upper Deck still has a deal with the MLB Players Association to produce cards of major leaguers without logos, and Melia says the company will produce multiple sets next season. We'll see how that plays out, but before finishing my tale, let me say that not everyone lost money on me. Toronto center fielder Vernon Wells' father, Vernon Sr., is an artist who painted the team checklists on the first sets of Upper Deck cards. Thanks to that connection, Vernon says he had access to a ready supply of free Upper Deck cards. He says he had at least 20 of me. "We had all these unopened boxes of cards and I went through plenty of them," he said. "Everyone knew who my father was and so when we went to card shows and I came around they knew what I had. It was a hot commodity. I got about $50, $60 or something like that for each one." As for the rest of you? Look on the bright side. You still have me. I'm still a historic card, still very popular and still worth more than any other card printed in 1989. Plus, my value should increase somewhat when Junior reaches Cooperstown. Besides, it could be a lot worse. You could have invested in Griffey's 1989 rookie teammate, Greg (Pee Wee) Briley. His rookie card goes for 25 cents. Can't anyone just retire anymore? It's easy for us to make that call, and you frequently hear fans complain about players' tainting their legacy by hanging on too long. But would we be any different? Think about it. You play a game you love for decades. It's part of your life. You know that when you retire you will NEVER play that game again and you will NEVER hear a stadium filled with fans cheering your name. On top of that, a team is willing to pay you a minimum of $400,000 and possibly millions to continue. And you're telling me you would simply walk away? Please. Besides, how does playing past his prime taint a player's legacy? You always hear people talk about Willie Mays' final season, but does anyone really think less of Mays because he kept playing when he was no longer very good? Sorry, if it was me, I'd keep showing up at the clubhouse until they called security and had me taken away in handcuffs. He'll make his first start for the Phillies on Wednesday. Can Pedro still pitch effectively at the major league level? I hope so, but even if he can't, I'm happy to have him back trying. Of course, the major downside to Pedro's return is it comes at the expense of Jamie Moyer's spot in the rotation. Moyer's start Sunday (5 IP, 11 H, 3 R, 2 ER, 1 BB, 1 K) left his record at 10-9 with a 5.67 ERA. But I don't think he's done yet, either, even if he will turn 47 before the end of the year. He's allowed one run or less in three of his past seven starts and two earned runs or less in four. • Ozzie Guillen might get fined for saying he would have his pitcher retaliate if opposing teams hit his players, but his candor is refreshing as always. I kept expecting him to channel Paul Newman in "Slap Shot" and place a $100 bounty on Cleveland's coach and chief punk. • Here's what I want to know regarding the remaining names on the list of players who tested positive for performance enhancers in 2003: Will the people who are slowly leaking them in baseball's equivalent of water torture do everyone a favor and release the rest of the names? Personally, I think it's an affront that supposedly confidential results are made public, but someone clearly has the full list, so the names are going to come out. Better to have them all come out at once and get this damn story over with, rather than keeping it in the headlines for months to come. • Another question: Why do football stories always focus on the total possible compensation when players sign contracts even though we know the players will be lucky to see anything approaching that amount? Eli Manning's new deal is described as a $97 million contract even though the guaranteed amount is barely a third of that. When you see a baseball contract, you know it's guaranteed and that's what the player will receive. But when you see an NFL contract, you have to scroll down to the bottom of the story to find out what it's really worth.